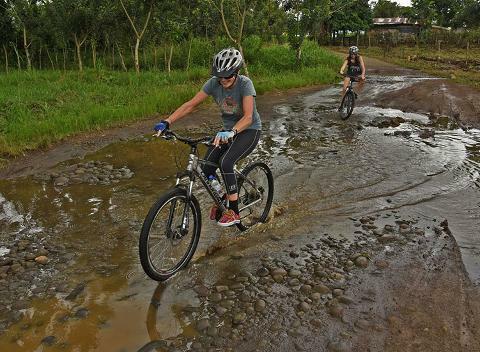 The Hills, Pueblos & Swimming Holes adventure is an intermediate-challenging trail perfect for riders with experience. We will pick you up from your hotel in our air conditioned van and bring you our office in downtown La Fortuna. 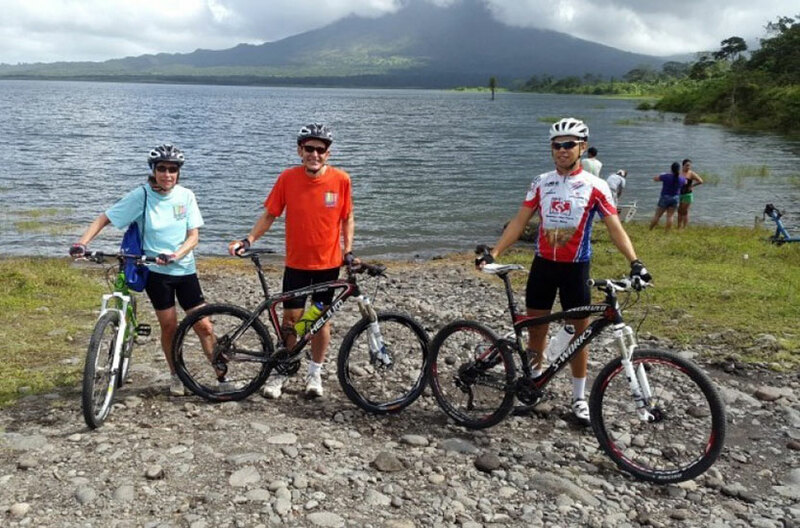 Your guide will get you equipped with a high quality suspension bike, helmet, gloves, and safety talk before starting this fantastic journey. 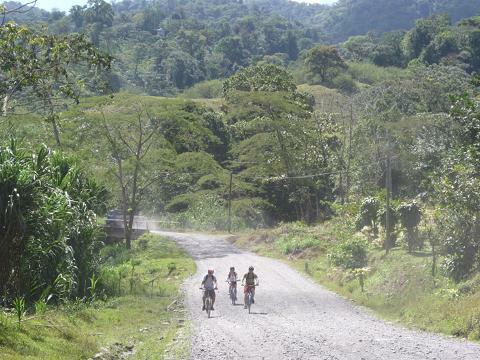 We take you along winding back roads and over scenic hills as you pass through quaint country towns and villages. 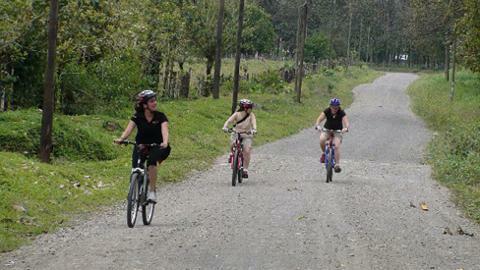 You will cover about 15km on this picturesque ride through the landscapes of Costa Rica. Along the way, you will stop at some fun swimming holes to cool off and just enjoy the surrounding nature. 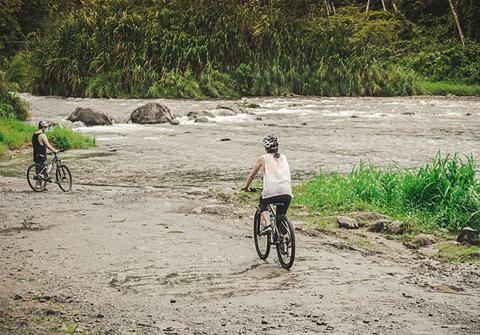 The Arenal Volcano area is ideal for riders looking for an experience of a lifetime. While travelling through pueblos such as Sona Fluca, Santa Lucia, and El Tanque, you will arrive at a charming location to enjoy a delicious snack!